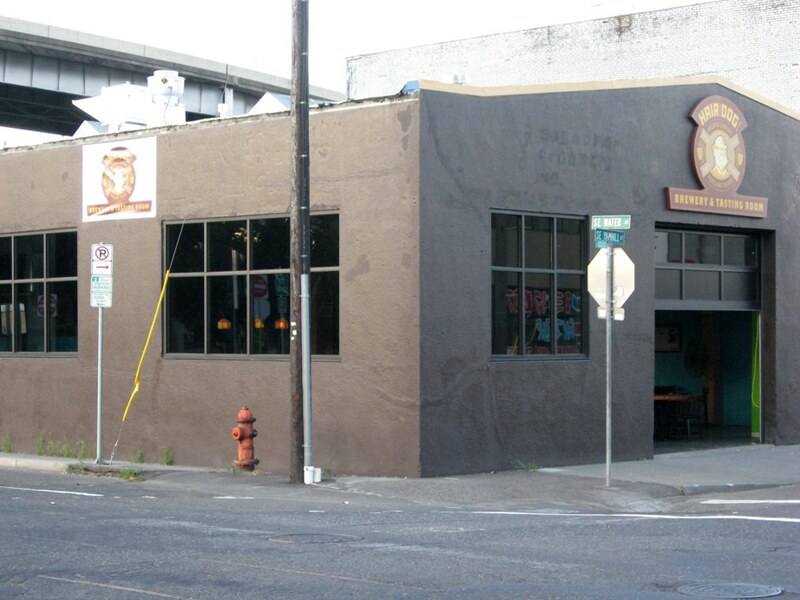 Hair of the Dog's move into new digs along Water Avenue (technically 61 SE Yamhill) is officially complete. 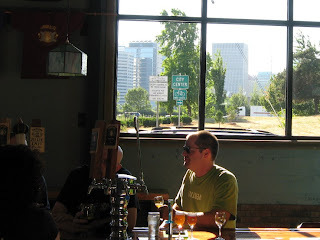 I stopped in on Monday to have a beer and a gander, and below are some of the photos I took. Those of you who don't live in Portland, take note: Hair of the Dog should be a top-three attraction on your beer itinerary when visiting. 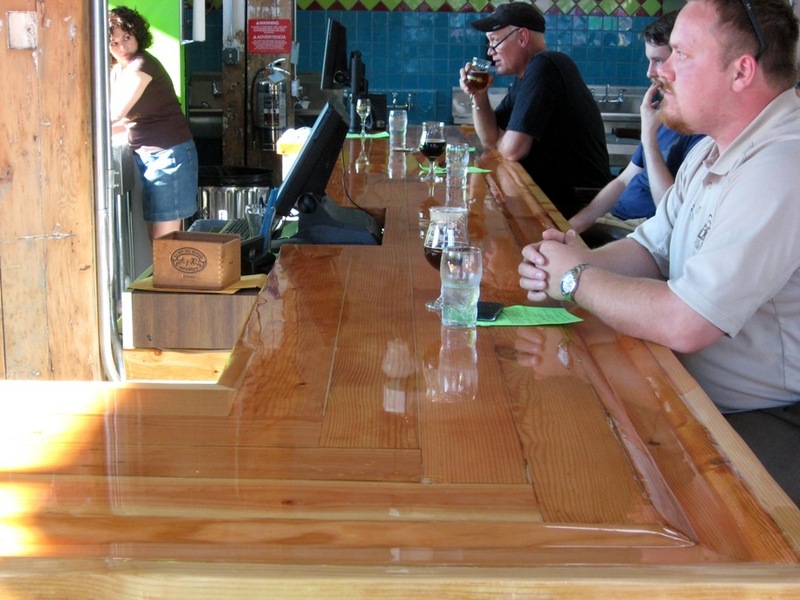 The new space is great, but the imperative is beer, not ambiance. You just won't find this kind and quality of beer anywhere in the city--or the state, or the country, for that matter. At the moment, there's no kitchen, so I'll wait to do a full review. What there is is good beer and lots of it. All draft pours come in 12-ounce goblets and are a relative value at $4.50 (keep in mind that none of the beers is below 6% and most are 10% and above). A pour of Cherry Adam (13.5%) is six bucks--still an amazing value. Alan has also laid in a stock of vintage bottles, and these ain't cheap. 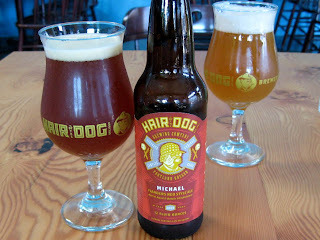 I spent $12 on Michael, Hair of the Dog's Flanders Red, an homage to the late Michael Jackson. You won't be buying a lot of these, but think of them like the rare ports or Scotches that easily go for double digits in bars and restaurants. I was actually happy to be able to finally taste Michael at any price. 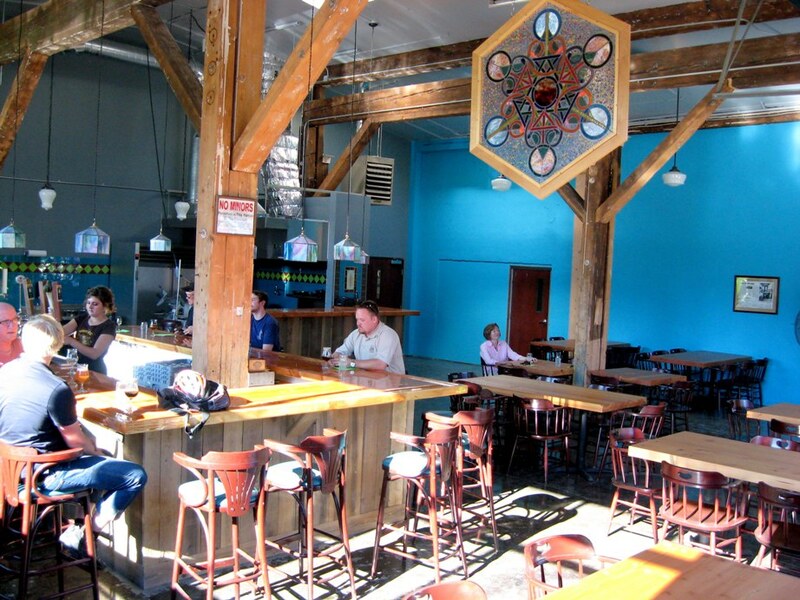 The space is large and and well-lit, an old warehouse with soaring ceilings. Two banks of south- and west-facing windows will draw on all available light to keep the space cheery in the long, gray months. Two sky lights add yet more light. 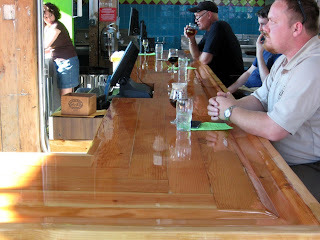 Those fir tables you see were made from beams reclaimed during the remodel. 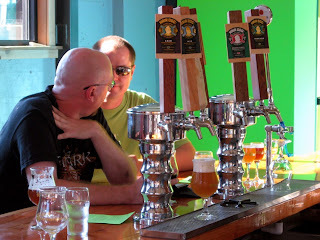 When we visited, Greg, Fred, Adam, Blue Dot, Doggie Claws, and Cherry Adam were all on tap. The pub looks out toward downtown Portland; the Morrison Bridge is a block north--or to the right as you look westward. Follow the bar to this photo's background and you see the kitchen area. Food should be available in a couple weeks. That's the Morrison Bridge you see in the upper left-hand corner. Alan described Michael this way: "I have been brewing this beer once a year since 2007; it is made with organic pilsner, Munich and Vienna malts. It is around 6% abv and fermented with the Wyeast Roselare blend. This bottling is a blend of American oak and sherry-cask aged beer from the 2007 brewing. It will be released every year in November. Next year's bottling will be mostly French oak-aged. I hope people compare it with Rodenbach; it is still to early to tell." The brettanomyces are really expressing themselves in the beer now. It's very dry, and has that characteristic citrus rind sour-bitter. I'd like to try it next to a bottle of Rodenbach, particularly one of the same vintage (Michael is made with the Rodenbach yeast). I don't recall the brett being this assertive--Rodenbach of my memory was sharply lactic--but this may be a function of age. Oh, that's Greg, by the way, trying to crowd into the picture with Michael. Agreed, Hair of the Dog is one of Portland's best. I stopped by to check the place out for the first time last night - and share your enthusiasm about it. I'll be spending a lot of time here. 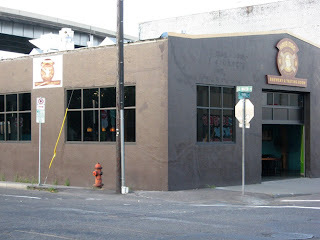 I agree that this is going to be a premier place in Portland to bring out of town guests who appreciate beer. I was there opening day and enjoyed the Michael as well. I love sours and my son is named Michael so I couldn't resist. $12 was a bit spendy but it is a rare beer and was very good. The fact that this is so close to my work and on my way home, I know it is going to be a regular stop for me. 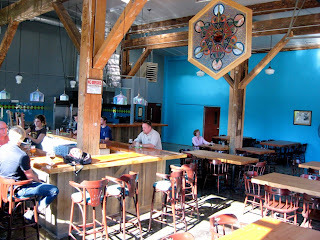 I'll be visiting Portland in a few weeks and HotD is #1 on my list for breweries/brewpubs to go. What I'd like to know is will bottles be available for sale to go or will I be forced to drink on the premises? fnksn, go to the facebook page and ask Alan. I'm 99% sure you can buy them to take them away, but he's the guy to ask. Probably you can buy them by the case if you want to. Great review Jeff! I can't wait stop by next time I'm in Portland. Michael sounds fantastic too.